A tattoo used to be a choice that would be with you forever. But today your tattoo could be a thing of the past. For effective tattoo removal at competitive prices call Baltimore Tattoo Removal at 410-458-8383. If possible, measure the length and width of the tattoo on the surface of your skin. Baltimore Tattoo Removal uses the Zimmer Cryro 6 cooler to lower the temperature of your skin providing you with the most comfortable experience possible. If desired, additional anesthetic can be utilized to fully “numb” the location being treated. Most patients describe the procedure as "easy", "only a minute" and "couldn't even feel it". FDA cleared Astanza lasers utilize two wavelengths to remove a large spectrum of colored ink and a square beam to treat a larger area without overlap. This combination makes the treatment a very safe method for tattoo removal. Topical creams and home remedies are simply not effective for tattoo removal. Our advanced Astanza Duality laser will shatter the ink particles in the dermis, allowing the body’s immune system to flush the tattoo ink away. Effective removal of most tattoos require multiple visits. To make it affordable, we offer packages with savings up to 20% off. BTR also offers financing through our partner LendingUSA. Tattoos about the size of a postage stamp can be removed for as low as $99. Start with an expert consultation to assess your tattoo. Baltimore Tattoo Removal is the first place to go for laser tattoo removal. BTR offers the latest in laser technology and the most competitive pricing. Hear what patients are saying before and after their first laser treatment at Baltimore Tattoo Removal. See the instant results during one patient's visit. New military guidelines for tattoos are being issued for service men and women. To do our part Baltimore Tattoo Removal is offering discounted treatments to the young recruits looking to join. 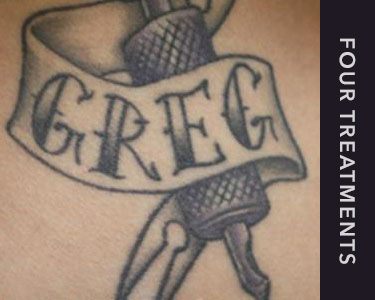 Sign up to get discounts and updates on laser tattoo removal from Baltimore Tattoo Removal. You'll receive exclusive offers only available to BTR subscribers. Free to breast cancer survivors. 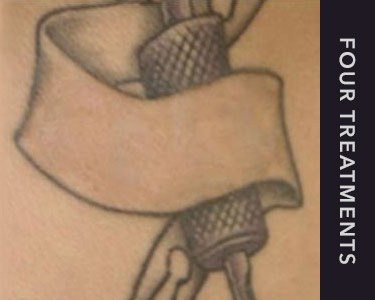 Breast cancer survivors often have a painful reminder of their days in treatment thanks to a tattoo used in their radiation procedures. Many want to have them removed and we want to help. Schedule a visit to have your ink removed for free.